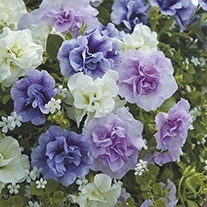 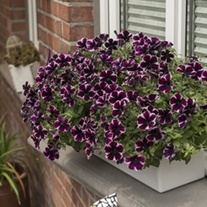 Most petunia plants are perennials but, here in the UK, they're more commonly thought of as annuals. 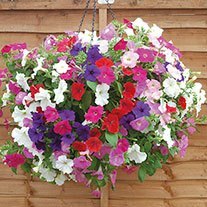 Thriving in hot sun and tolerant of dry conditions, petunias are always popular in hanging baskets at the height of summer. 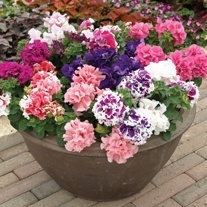 The British-bred Tumbelina® series boasts beautiful large double flowers, celebrated for their delicious scent, trailing elegantly to provide summer-long displays.